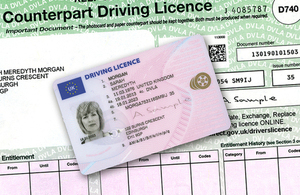 As the paper part of the good old British driving licence reaches its sell by date, car hire in both France and Britain could prove problematical from June 8th 2015. This added piece of paper records endorsements and fines. Drivers may be expected to obtain an online code before hiring a car, which will be valid for only 72 hours. Some, but not all, hire companies will require this code as well as their ‘credit card’ licence. You are advised to check on this on advance with your car hire company. The website generating these online codes is not yet online so keep an eye out on View-driving-licence for more info in the near future. Advice from the AA for those hiring vehicles abroad is to take the paper part of the licence with them in case the new law hasn’t filtered through to all hire companies.